I’m not a vegetarian. I like crispy bacon and juicy steaks and bison burgers and chicken fajitas, and I’m not opposed to people who hunt in order to have meat in their freezer, but I am strongly opposed to hunting for sport. When I went on my trip to the Great Bear Rainforest in British Columbia in June 2013 with Trish and Eric of Ocean Adventures (http://www.oceanadventures.bc.ca/), we anchored in inlets where hunting was not allowed. We watched bears from a respectful distance (from the safety of the zodiac), and I was amazed just how calm and peaceful they were with seven people documenting their every move. We had the privilege of witnessing a wild animal in its own habitat far off the beaten path. To take pictures and have mementos of these amazing, living breathing animals seems so much more satisfying than hunting for sport. (I still am deathly afraid of running into a bear while camping or walking in the woods, though!!!). It’s been exactly two years since the trip. It was on this trip that I really started to pay attention (and learned the lesson of patience) when taking pictures of animals. (I do take pictures of people, I just don’t post them here!) 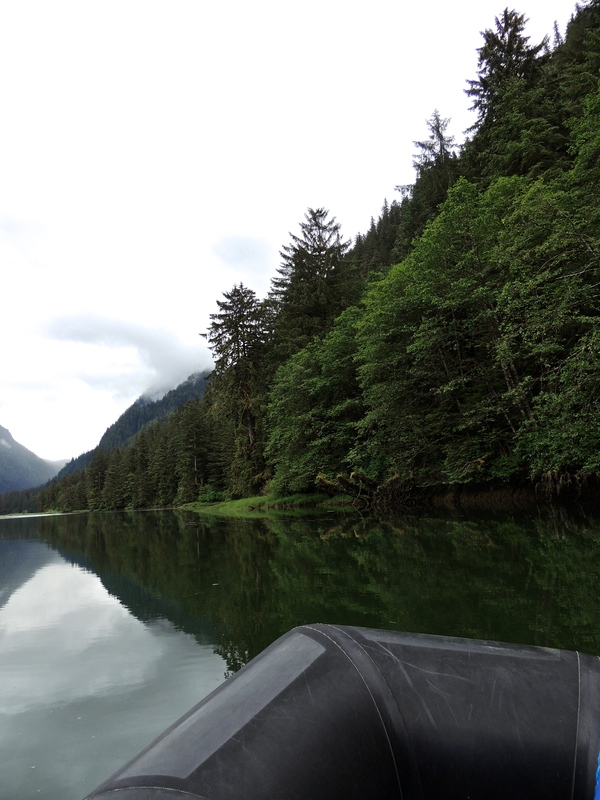 Anyway, here are a few more pictures from the Great Bear Rainforest – someday I’d like to go back! 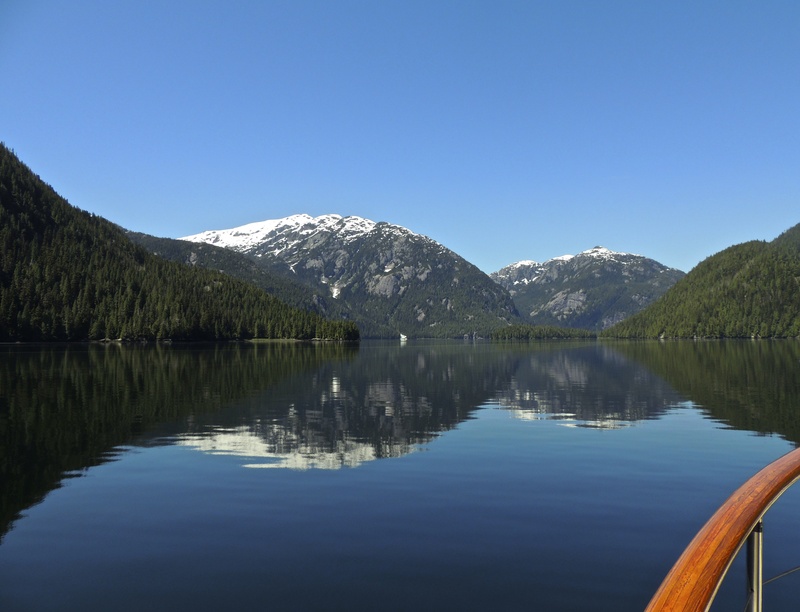 Flying to Hartley Bay , a small Aboriginal fishing village to meet the boat – beautiful scenery! 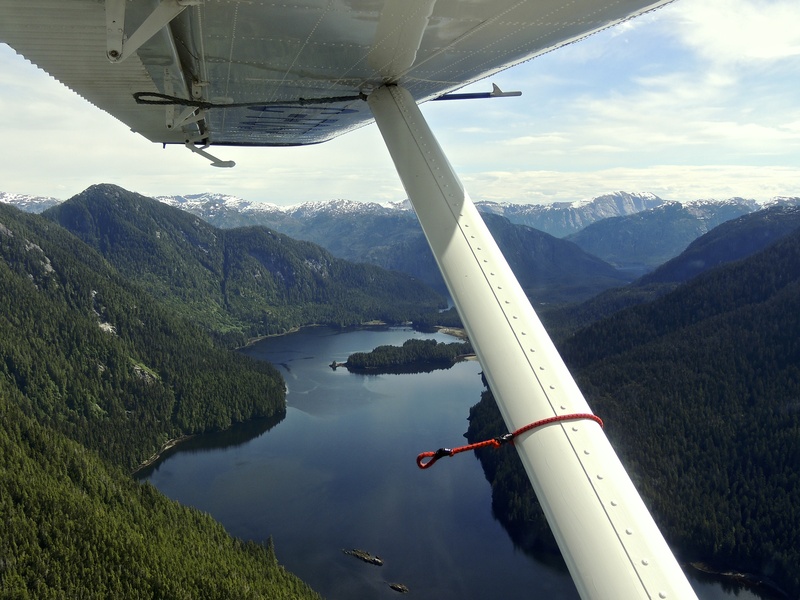 I’d never been on a bush plane before – the ride there was fine, a little bumpy, but fine. But on the way back there was a young woman from the village flying with us to Prince Rupert to see a doctor. She was in so much pain and was having such a panic attack, that I thought she was going to pass out before we made it back to Prince Rupert. It was a very long 45 minutes. I saw her later that day when we were walking around town and she was smiling so at least she was okay. I loved being out on the zodiac! 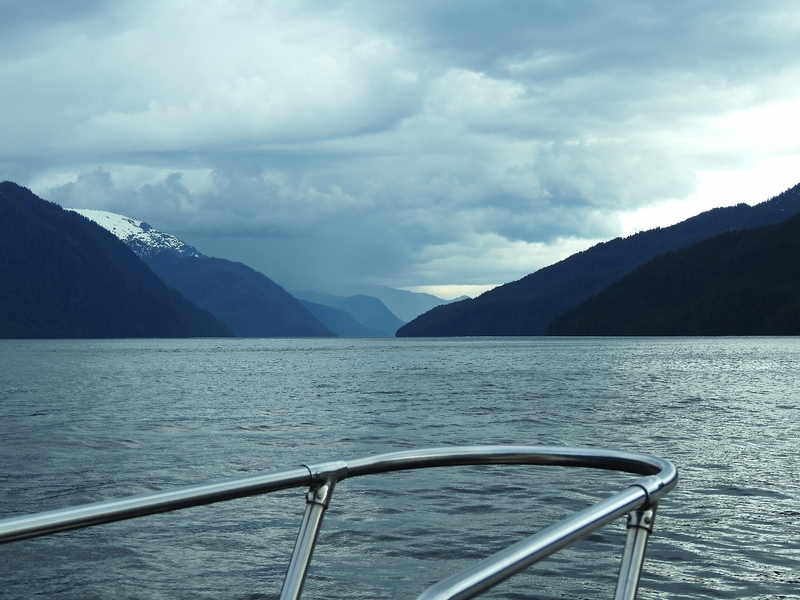 This was at the end of a long afternoon out on the zodiac – it was so peaceful out on the water. There were seven of us in the zodiac and since the point is to be as quiet as possible so as not to disturb the wildlife, we barely said a word for five hours while seeing some pretty amazing sights! I bet close to half the pictures I took on the trip were of reflections on the water! I’ve learned a lot of photography lessons this summer. The first two are patience and persistence. These occurred many times on my trip to the Great Bear Rainforest in mid-June with Ocean Adventures. The most memorable one was when we were on the zodiac for six hours one afternoon. We had a very hearty lunch (I think Trish knew it could be a long afternoon on the zodiac) and started cruising around the inlet to see what we could see, hoping to spot a couple of grizzlies we’d photographed the previous day. We continued on for about three and half hours, just enjoying the scenery, and every once in awhile we (there were seven of us on the zodiac that day) stopped the motor on the boat and just floated and listened to the birds. It was very peaceful. Eventually we spotted one of the grizzlies! Finally spotting a grizzly at 4:30pm. Patience and persistence pays off at 6:30pm. We spent about half an hour watching the grizzly with Eric expertly maneuvering the zodiac so everyone could get the photograph they wanted. Sometimes I would put my camera down and just watch the bear. At about 7pm we headed back to the boat for supper (and maybe more importantly, a much needed bathroom break!). Pretty scene while heading back to the boat at 7pm. It was a memorable day and the lessons that patience and persistence pay off is one I remember now when I’m trying to get certain shots (I spent about an hour photographing the sunflowers in my previous post). I love bears! 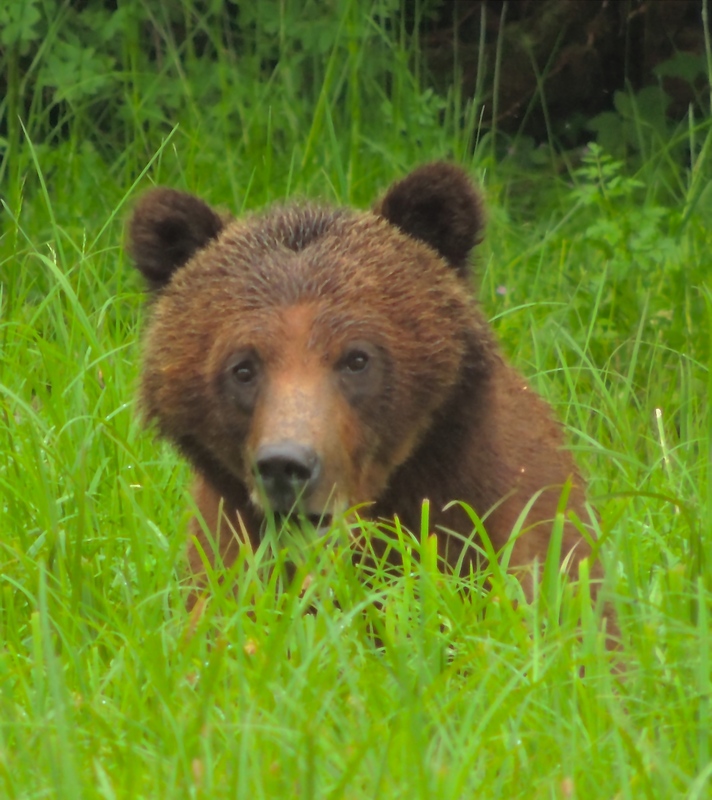 This trip came to be when I googled “bear watching” back in November and looking to do something memorable to celebrate the “big 4-0” this year. 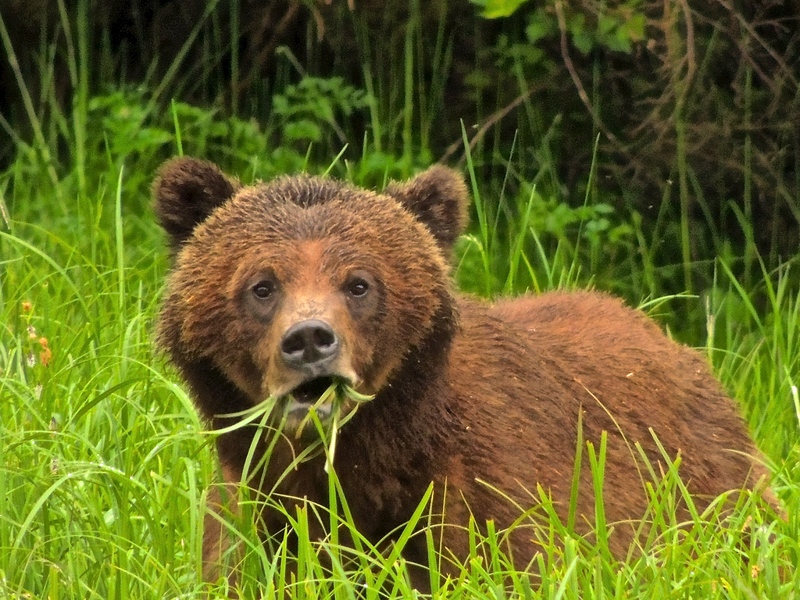 This trip was so much more than just bear watching, but to be able to watch bears munching on grass while being perfectly aware of seven people watching them from a zodiac was definitely one of the highlights. The inlet where we saw this bear (actually we saw three bears in this inlet) is protected from hunting, which is likely why the bears seemed comfortable with us being so close as they may have not had bad experiences with humans. Trish and Eric, our guides, are fairly frequent visitors to the inlet, and have such a deep respect and admiration for these animals, so the way we approached them in the zodiac was always very slowly, quietly (we were strongly encouraged not to talk if we were in an area where we might see a bear) and on the bears’ terms. The bears certainly knew we were there, but there was never a hint of aggression towards us being there. To give you a little more perspective of what the inlet looks like and where we were when we saw this bear (and a female grizzly close by the following day), here we are floating back down the river. I love bears, but the scenery was pretty awesome, too. 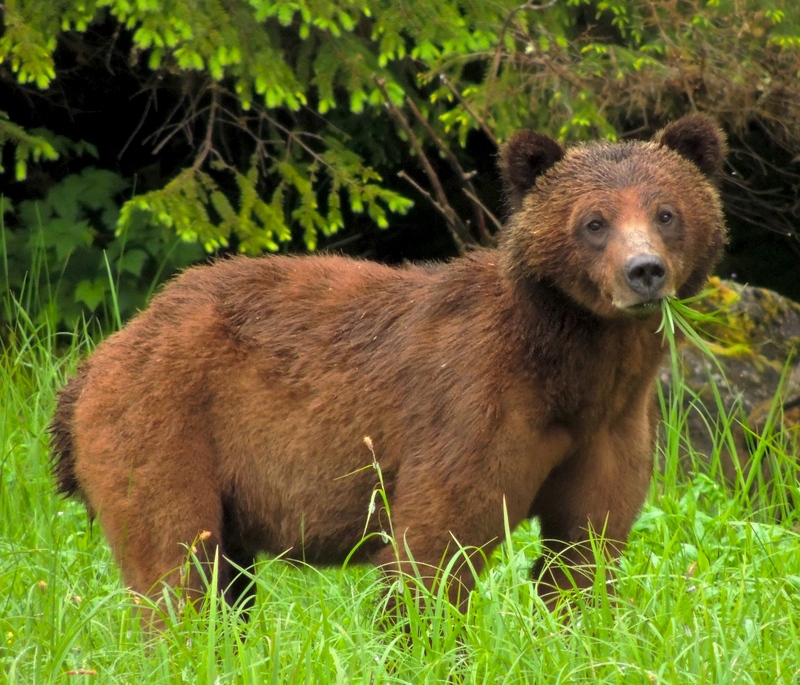 This is Part 3 of my adventures in the Great Bear Rainforest. We found Fuzzy the three year old Grizzly Trish and Eric have been following since he was a wee cub (Fuzzy is the name they’ve given him). He’s now weaned from his mother and is left to fend for himself (although we found his Mom in the estuary in the same inlet – pics to follow in a later post). 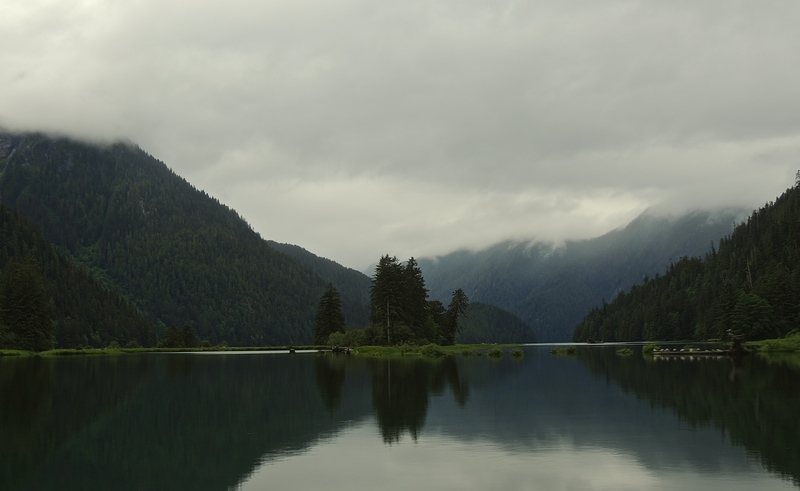 Bears are protected from hunting in this particular inlet so they are not quite so skittish around people. Fuzzy seemed perfectly aware and content with our presence. So, I felt comfortable, too. Trish and Eric have been visiting this inlet for many years and I’m sure the bears sense that they are a non-threatening presence. It was a very unique experience to be able to not only have time to take pictures, but also to just stop and watch a bear in its natural environment.